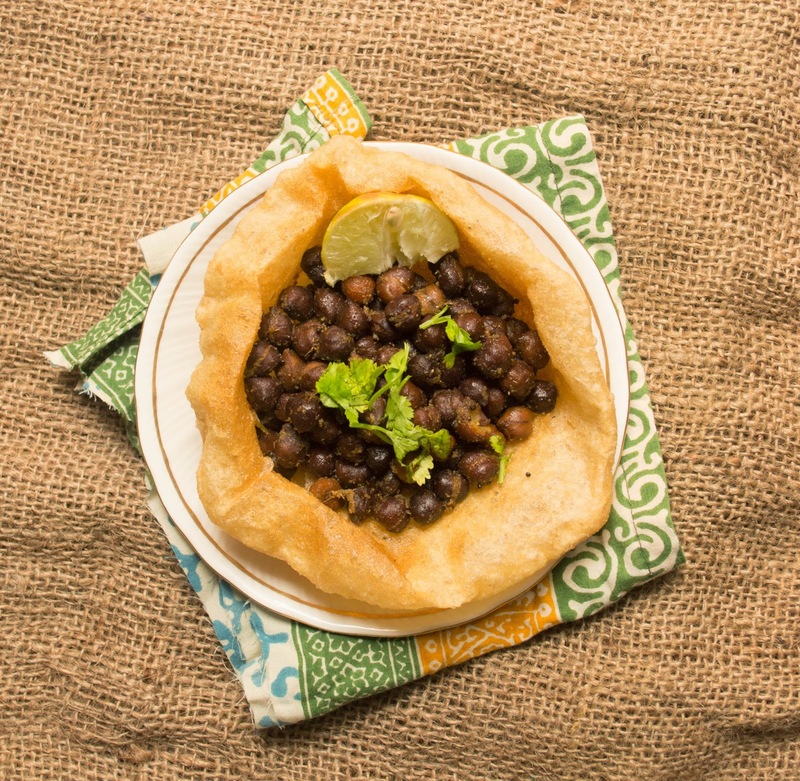 This Gujarati kala chana nu shaak is one of my favorites!! It is so easy, so healthy yet so tasty!! I enjoy making it and I love eating it!! It can give you a healthy dose of protein.. The combination of this kala chana curry the way my mom makes it with kadhi and bhakhri is simple yet deliciously filling!It tastes good on it’s own too. This is just a little different than Kondakadlai Sundal (Chana Sundal).. In north India this simple chana are made on the 8th day of Navratri festival (Kanjak) and offered to young girls, considered as Goddesses, along with halwa & puris!! Delicious!! My little girl and her papa loves it with Puri (puffed Indian bread) and that is how it is often eaten at my place!! Sometimes I make a healthy chane ki chaat by adding finely cut onions, tomatoes, chaat masala and green chutney to it! 1 Cup Kala chana / Deshi Chana / Black Chickpeas soaked for at least 8 hours. 1) Pressure cook Chana (chick peas) with salt till tender. It’s really important to cook it properly. To check if it is properly cooked, take a cooked chana and squeeze it between your thumb and a finger. It should squeeze easily. If it doesn’t then you should cook it further. 2) In a kadai (pan/wok) heat 2 tablespoon of oil and add mustard seeds (rai) to it. 3) Once rai (mustard seeds) crackle, add a pinch of hing to it. 4) To this immediately add properly cooked chana without water. 5) Add green chilli and ginger paste and dhania jeera powder and mix well. 6) Let it cook for 5-10 minutes, or till no water is visible. Squeeze lemon juice before serving. Lovely simple dish. I seldom cook the black chickpeas, somewhat prefer the yellowish ones. Perhaps it should be good too and a dish we would love for our meatless meals with rice as a side. Love this kind of black chana shak with poorie and halwa! 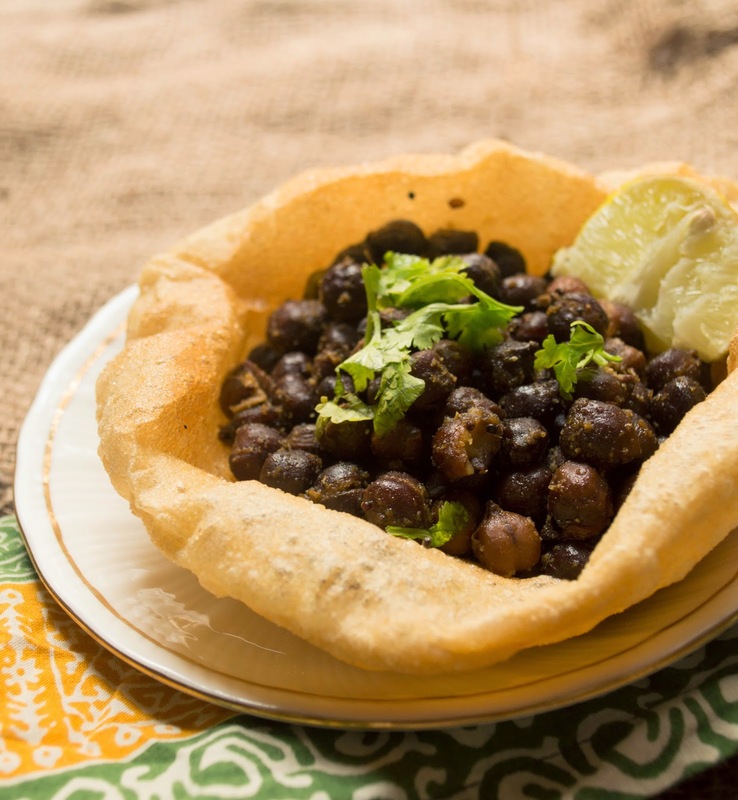 Delicious kala chana subji……. Looks yummm!! Simple, tasty and a healthy dish. I love it too. I also add curry leaves to it. Nice pics. very healthy n protien packed..
Wow.. delicious "Healthy Protein packed vegan meal". 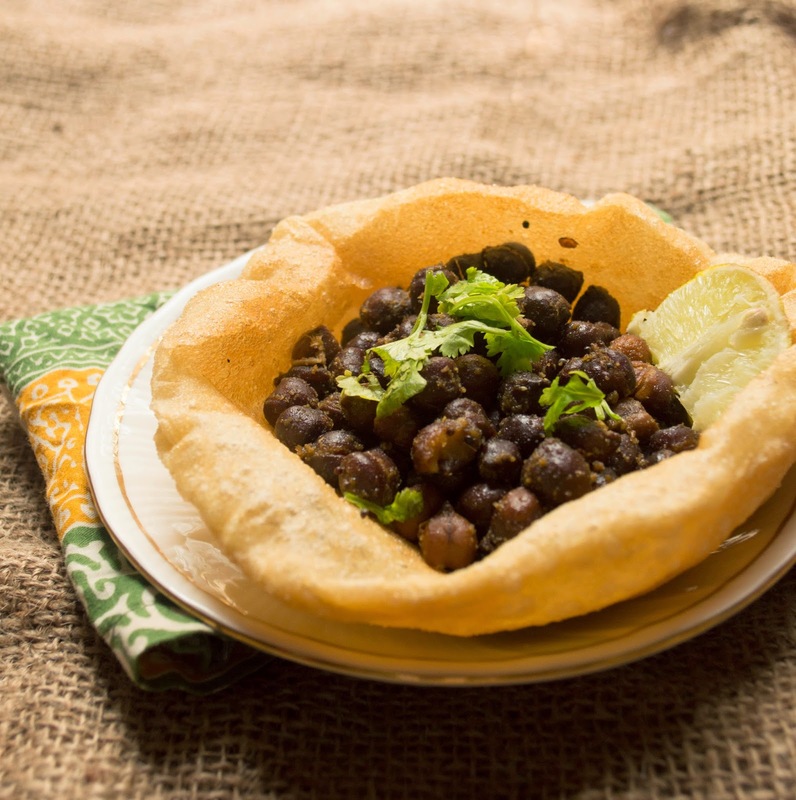 My mom makes the variety of recipes using kala chana.